UC Press is proud to be part of the Association of University Press’s seventh annual University Press Week, whose overall theme this year is #TurnItUP: The university press community amplifies voices, disciplines, and communities. Today’s theme is “History;” please enjoy the timely post-Election Day excerpt below from Shaped by the West, Volume 2: A History of North America from 1850 by William Deverell and Anne Hyde. We also strongly encourage you to visit our fellow university presses blogging with a focus on history today as well: Wilfrid Laurier University Press, University of Nebraska Press, University of Alabama Press, Rutgers University Press, University of Rochester Press, Beacon Press, University Press of Kansas, Harvard University Press, University of Georgia Press, University of Toronto Press, and MIT Press. #ReadUP! 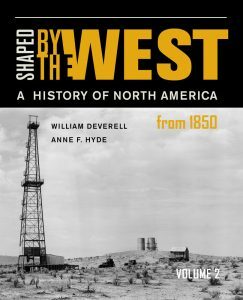 Shaped by the West is a two-volume primary source reader that rewrites the history of the United States through a western lens. 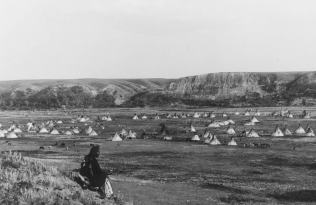 America’s expansion west was the driving force for issues of democracy, politics, race, freedom, and property. William Deverell, Professor of History and Chair of the History Department at USC and Director of the Huntington-USC Institute on California and the West, and Anne F. Hyde, Professor of History at Colorado College, provide a nuanced look at the past, balancing topics in society and politics and representing all kinds of westerners—black and white, native and immigrant, male and female, powerful and powerless—from more than twenty states across the West and the shifting frontier. The following excerpt is taken from Chapter 5, Populism: The Politics of Protest. The Alliance movement, which grew out of the Grange, would become the Populist movement with the formation of the People’s Party in 1892. The following magazine article, published the same year Populism “went national,” describes the role of women in the movement and the ways in which Populism responded to women’s political interests. According to Annie Diggs, women were drawn to the Alliance for a number of reasons: political commitment, boredom, loneliness, the desire to associate with other women, and the sheer excitement of the cause. A prominent orator and politician in her own right, Diggs had been active in Kansas temperance and suffrage reform for more than a decade when she wrote this essay. By the mid-1890s, she would become one of the best-known women in the Populist movement and the state librarian of Kansas. What indication, if any, does Diggs give about the possible appeal of Populism among urban or industrial workers, men or women? How does she describe the reaction of opponents to Alliance women? The women prominent in the great farmer manifest of this present time were long preparing for their part; not consciously, not by any manner of means even divining that there would be a part to play. In the many thousands of isolated farm homes the early morning, the noonday, and the evening-time work went on with a dreary monotony which resulted in that startling report of the physicians that American farms were recruiting stations from whence more women went to insane asylums than from any other walk in life. Farm life for women is a treadmill. The eternal climb must be kept up though the altitude never heightens. For more than a quarter of a century these churning, washing, ironing, baking, darning, sewing, cooking, scrubbing, drudging women, whose toilsome, dreary lives were unrelieved by the slight incident or by-play of town life, felt that their treadmills slipped cogs. Climb as they would, they slipped down two steps while they climbed one. They were not keeping pace with the women of the towns and cities. The industry which once led in the march toward independence and prosperity, was steadily falling behind as to remuneration. Something was wrong. The Grange came on—a most noble order, of untold service and solace to erstwhile cheerless lives. Pathetic the heart-hunger for the beauty side of life. The Grange blossomed forth in “Floras” and “Pomonas.” Th ere was a season of sociability, with much good cookery, enchanting jellies, ethereal angel cakes, and flower-decked tables. Th ere was much burnishing of bright-witted women—not always listeners, often essayists. Sometimes, indeed, leaders of discussion and earnest talk about middlemen, the home market, the railroad problem, and such other matters as would have shed light on the cause of the farmer’s declining prosperity had not wary politicians sniff ed danger, and, under specious pretence of “keeping out politics lest it kill the Grange,” tabooed free speech and thus adroitly injected the fatalest of policies. Th e Grange is dead. Long live the Grange born again—the Alliance! this time not to be frightened out of politics or choked of utterance; born this time to do far more than talk—to vote. The Granger sisters through the intervening years, climbing laboriously, patiently, felt their treadmill cogs a slipping three steps down to one step up. Reincarnate in the Alliance the whilom3 Floras and Pomonas became secretaries and lecturers. Th e worn and weary treadmillers are anxious, troubled. They have no heart for poetry or play. Life is work unremitting. There is no time for ransacking of heathen mythologies for fashions with which to trig out modern goddesses. 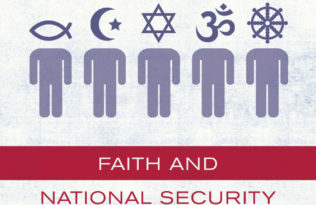 Instead of mythologic lore, they read “Seven Financial Conspiracies,”“Looking Backward,” “Progress and Poverty.” Alas! of this last word they know much and fear more—fear for their children’s future. These once frolicking Floras and playful Pomonas turn with all the fierceness of the primal mothernature to protect their younglings from devouring, devastating plutocracy. Politics for the farmer had been recreation, relaxation, or even exhilaration, according to the varying degree of his interest, or of honor flatteringly bestowed by town committeemen upon a “solid yeoman” at caucus or convention. The flush of pride over being selected to make a nominating speech, or the sense of importance consequent upon being placed on a resolution committee to acquiesce in the prepared document conveniently at hand—these high honors lightened much muddy plowing and hot harvest work. Carlyle’s Menads, hungrier than American women are as yet, penetrated the French Assembly “to the shamefullest interruption of public speaking” with cries of, “Du pain! pas tant de longs discours!” Our Alliance women spake the same in English: “Bread! not so much discoursing!” “Less eloquence and more justice!” . . . In several states, notably Texas, Georgia, Michigan, California, Colorado, and Nebraska, women have been useful and prominent in the farmer movement, which indeed is now widened and blended with the cause of labor other than that of the farm. Kansas, however, furnished by far the largest quota of active, aggressive women, inasmuch as Kansas was the theatre where the initial act of the great labor drama was played. . . . The great political victory of the people of Kansas would not have been won without the help of the women of the Alliance. Women who never dreamed of becoming public speakers, grew eloquent in their zeal and fervor. Farmers’ wives and daughters rose earlier and worked later to gain time to cook the picnic dinners, to paint the mottoes on the banners, to practice with the glee clubs, to march in procession. Josh Billings’s saying that “wimmin is everywhere” was literally true in that wonderful picnicking, speech-making Alliance summer of 1890.